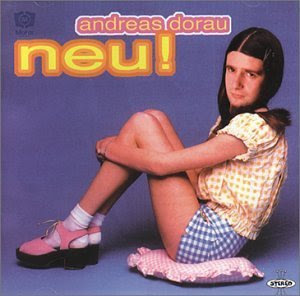 It's got to be that one Andreas Dorau album where he's in drag on the album cover. German techno at its best/worst. I was turned on to his stuff by a friend of mine in college and it's graced my collection ever since.